TOPHER DONAHUE - a storyteller for the modern ageColorado Photographer Photography is just the beginning. 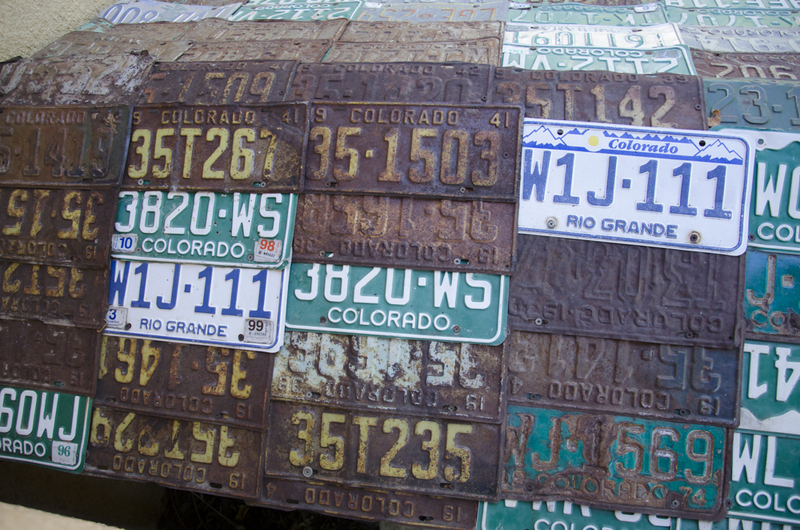 40 years of Colordo culture represented in a photograph of license plates on the roof of a dog house in the San Luis Valley. The Red Oak Park subdivision in Boulder, Colorado is a city project designed as a low-income housing development. This photo shows how 100% of the neighborhood's electrical needs are provided by the sun. Savings from the solar panels are passed onto the residents, further lowering their cost of living. This photo is used by the solar integrator as well as the city to promote affordable living and clean energy. A home in Lafayette, Colorado, equipped with frameless solar modules reflecting a spectacular Colorado sunrise. In many ways this photo represents the bright future of solar power. A ski guide for Canadian Mountain Holidays, the world's most established and oldest heli-ski company, enjoys champagne powder near Revelstoke. 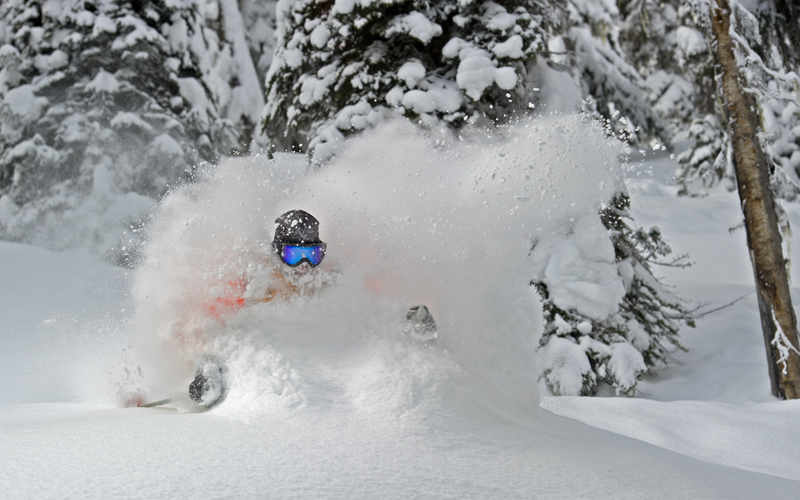 This photo was taken for a marketing promotional campaign for deep powder heli-skiing. A photo of the American Flag at half mast in Denver, Colorado. Near Moab, Utah, these spires were made famous by John Wayne movies and Marlboro cigarette ads. Now, they are frequented by rock climbers and base jumpers. Here, a climber struggles to make it the last few feet to the summit of a difficult route up Castleton Tower. 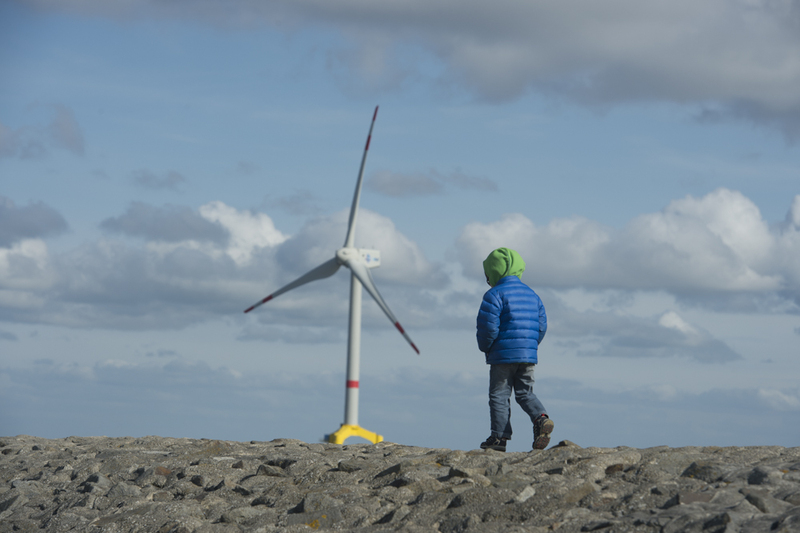 An American boy in Northern Germany walks along the shore of the North Sea with a large wind turbine in the back ground. Where this boy lives, in Colorado, fracking for natural gas has created an economic boom and an environmental disaster while delaying the integration of truly clean energy systems. This photo was taken in Canada of a skier triggering a medium-sized avalanche. A split second after this photo was taken, the moving cookie of snow crumbled, devouring the skier. Luckily, the slope flattened just below him and the avalanche came to a stop with the skier unhurt. This avalanche photo appeared on the cover of Avalanche Accidents in Canada as well as in Outside Magazine's Exposure gallery and calendar. 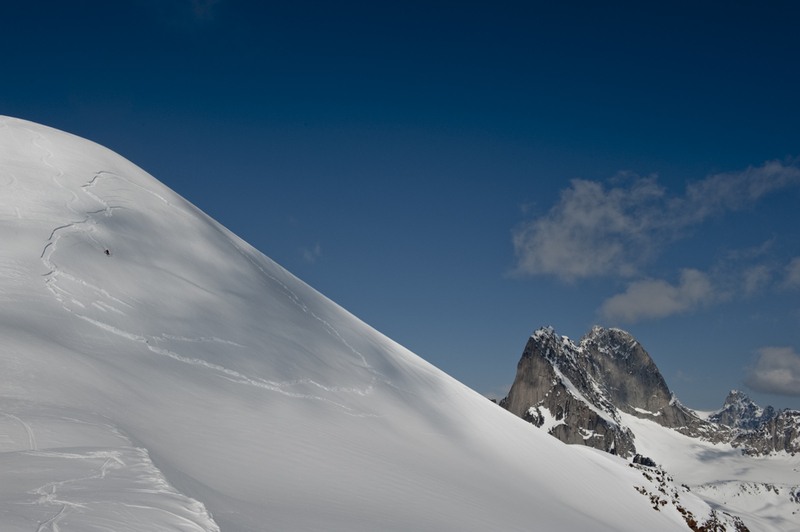 The Cariboo Mountains in western Canada have been described as proof the god is a skier. The perfect ski and snowboard terrain is now used by heli-skiers, backcountry skiers, sledders and snowboarders looking for the best snow playing area on earth. 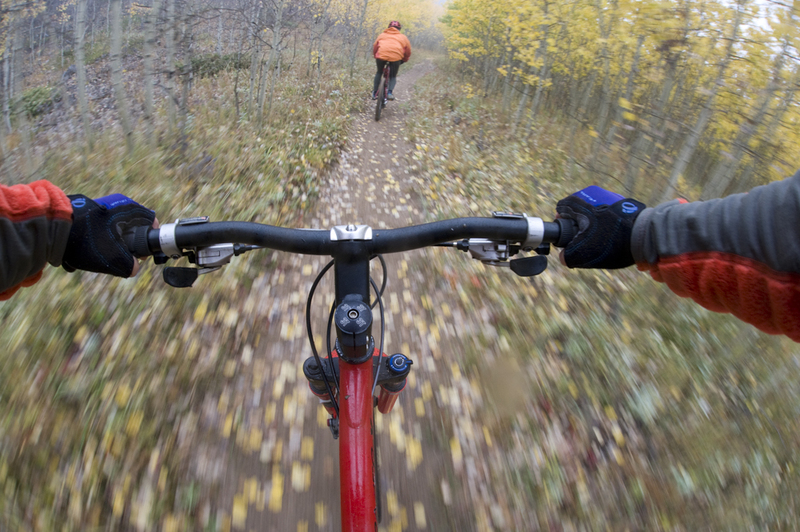 This photo has been used in camera ads as well as fine art prints and promotional campaigns. 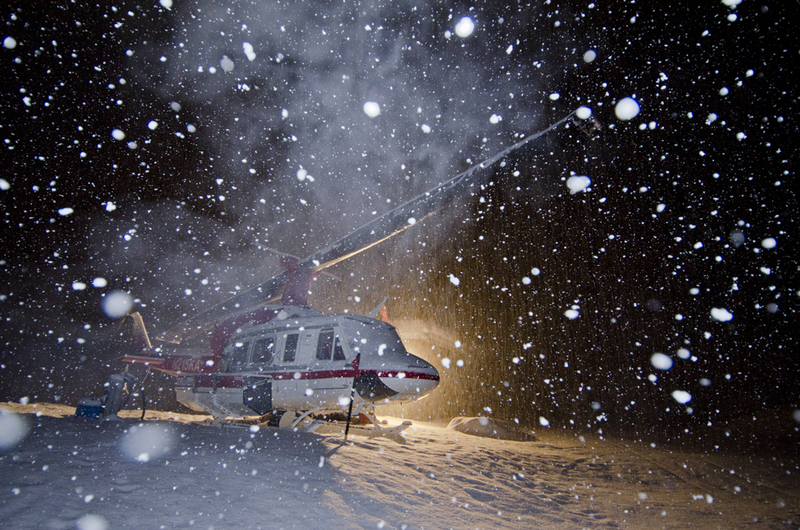 This multiple exposure night photo captures a heliski helicopter in heavy snowfall near Revelstoke in British Columbia. This photo has been used to promote helicopter safety, skiing, and as a fine art piece. At 2000 feet deep and only 1000 feet wide, the Black Canyon in southwest Colorado is one of the most impressive canyons in the world. It is also America's newest National Park. 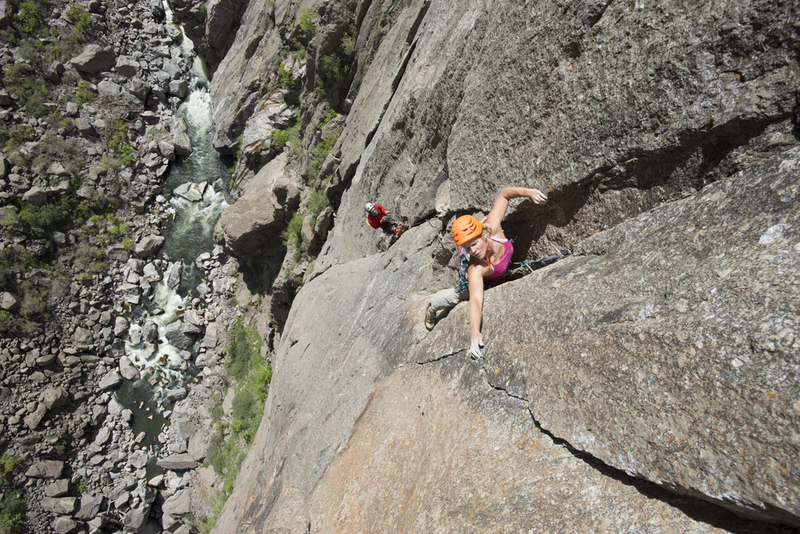 Adventure rock climbers enjoy the place fervently - gymnastic sport climbers, not so much. 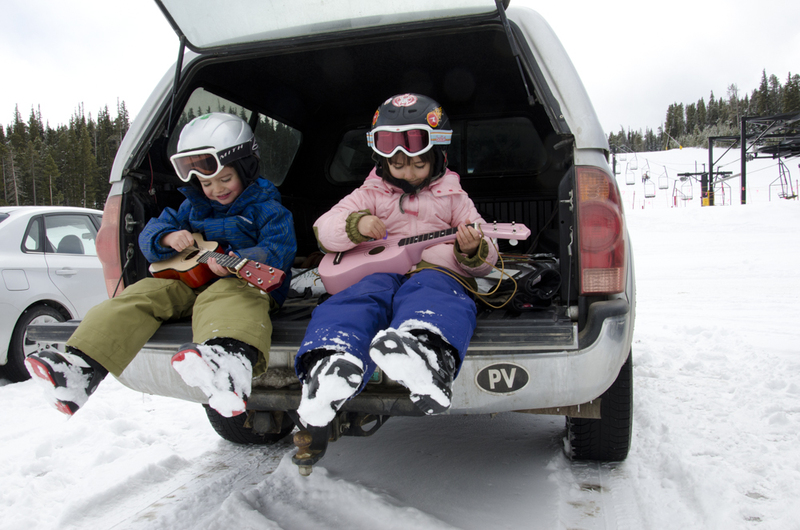 Twin brother and sister jam on their ukeleles after a day of skiing in Colorado. Still wearing ski boots, bare hands in the cold, kids live in the moment. 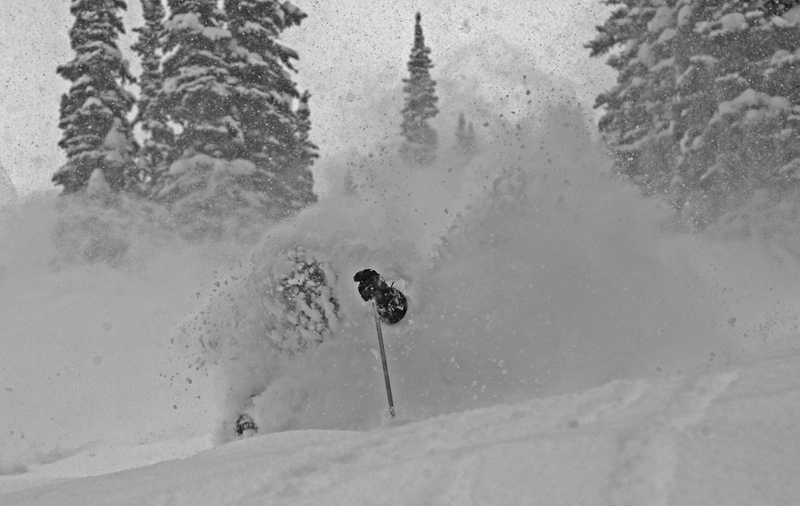 A ski guide goes deep in the bottomless powder of British Columbia. Many skiers and snowboarders say this is the best skiing in the world.